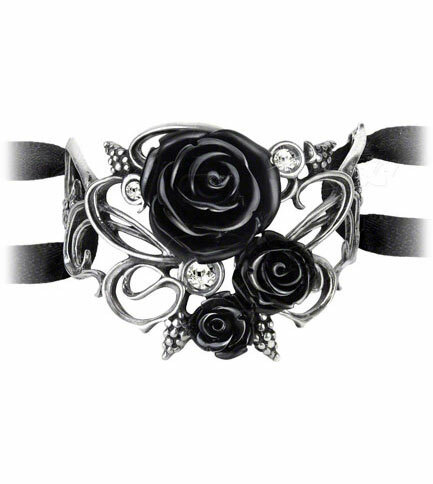 Black roses adorned with grapes and vines with clear stones. 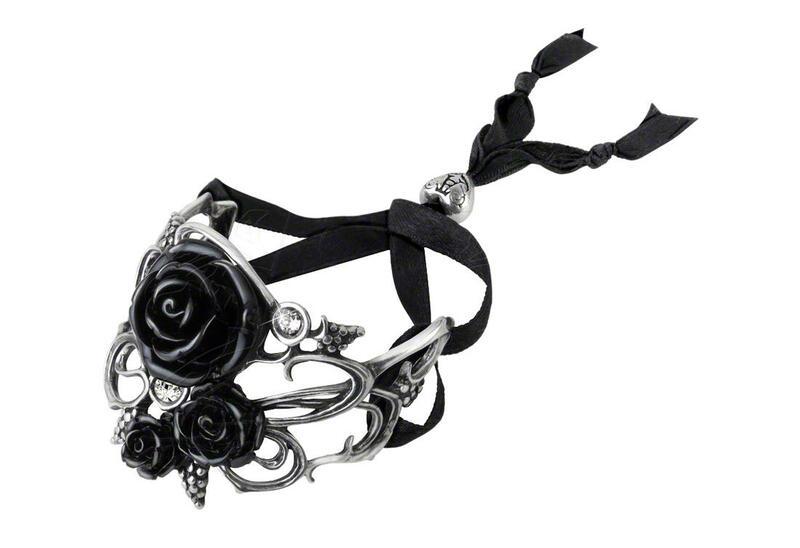 Adjustable black ribbon. 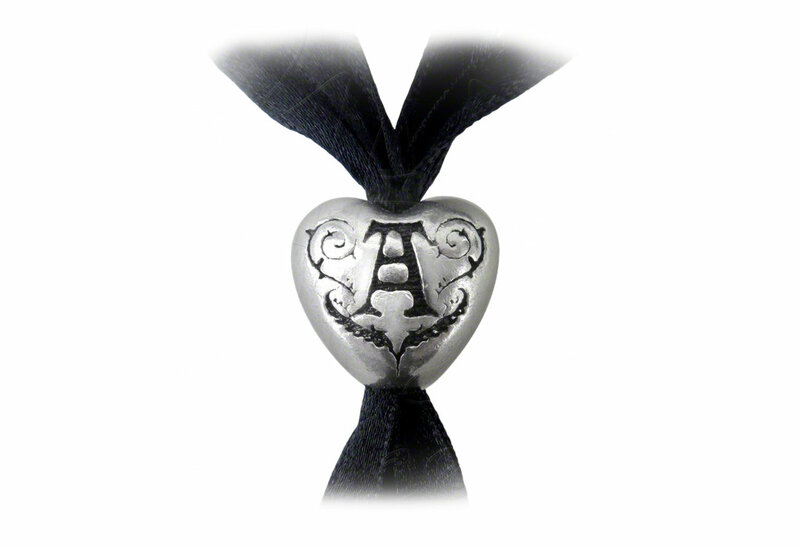 Made of fine English pewter with black acrylic, Swarovski crystal and satin ribbon. 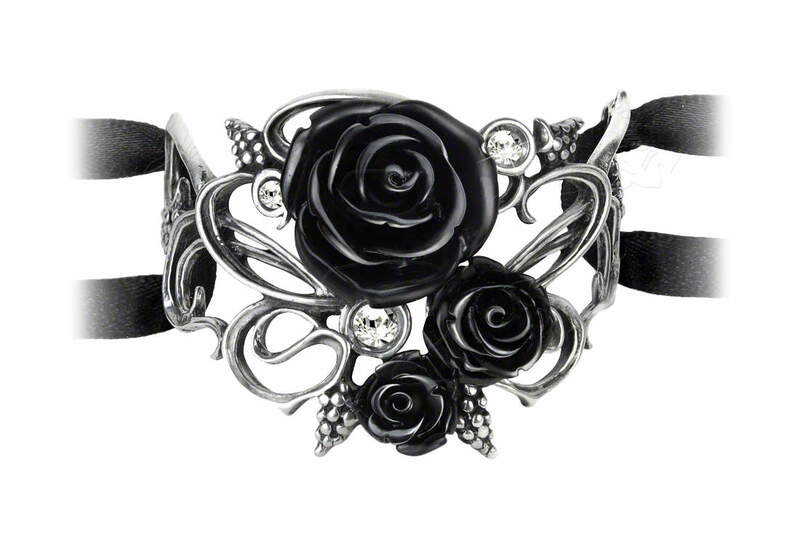 Measures approximately 3 inches wide, 1.81 inches high and 0.63 inches deep. By Gothic Alchemy.